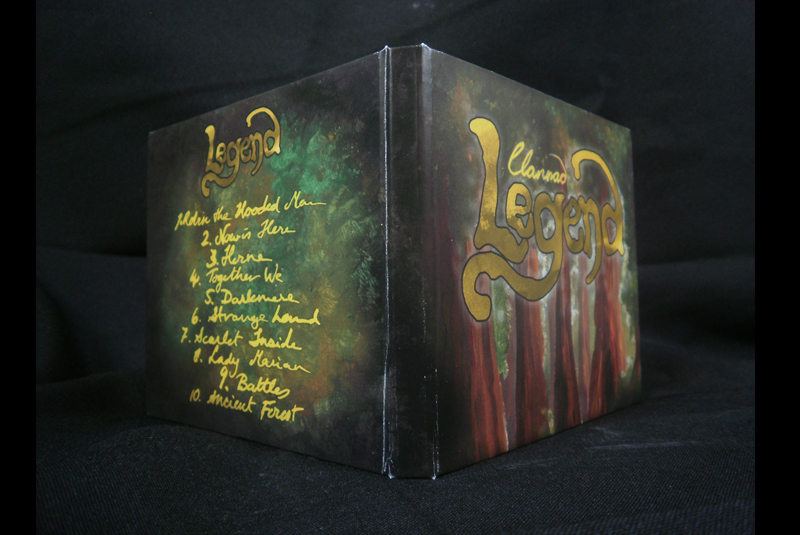 This CD Art Book was inspired by the album “Legend” by the band Clannad. 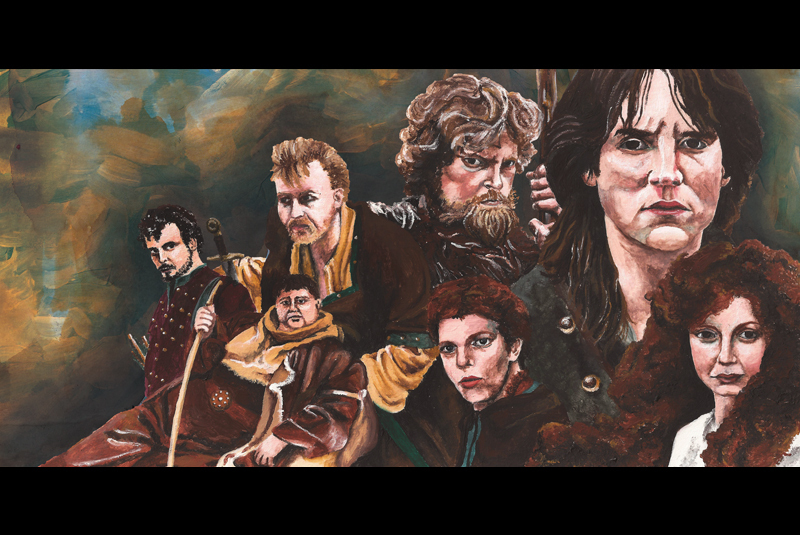 It was also the Soundtrack for the TV-Series Robin of Sherwood from 1984-1986. I have always loved this CD and the TV-Series but felt that the CD cover designs didn’t particularly captivate the atmosphere of either. 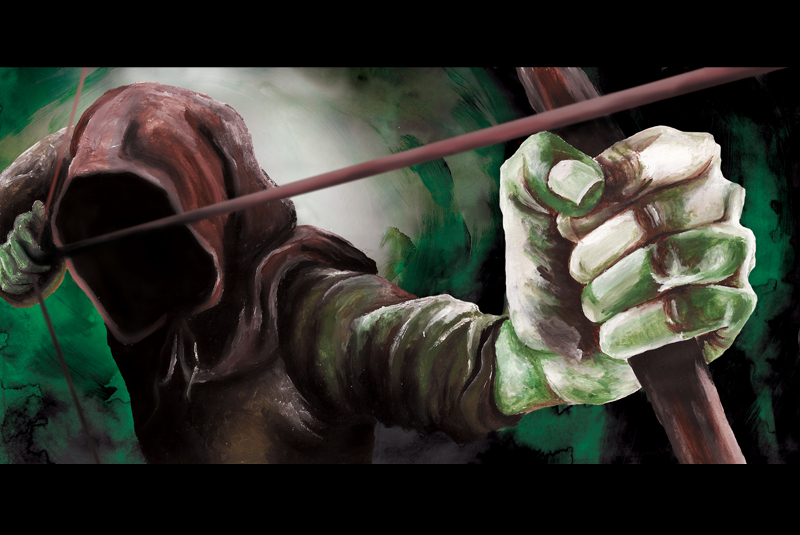 So I designed my own interpretation as a personal project. 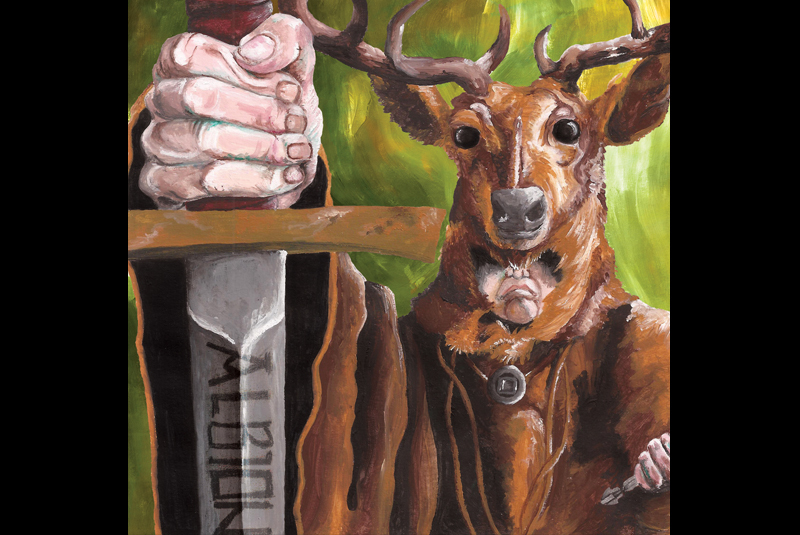 Before starting the illustrations for this CD Art Book, I carefully analysed the music, TV series and lyrics. I found that each song was connected to either a particular character or scene in the programme so I connected my artwork in the same way. 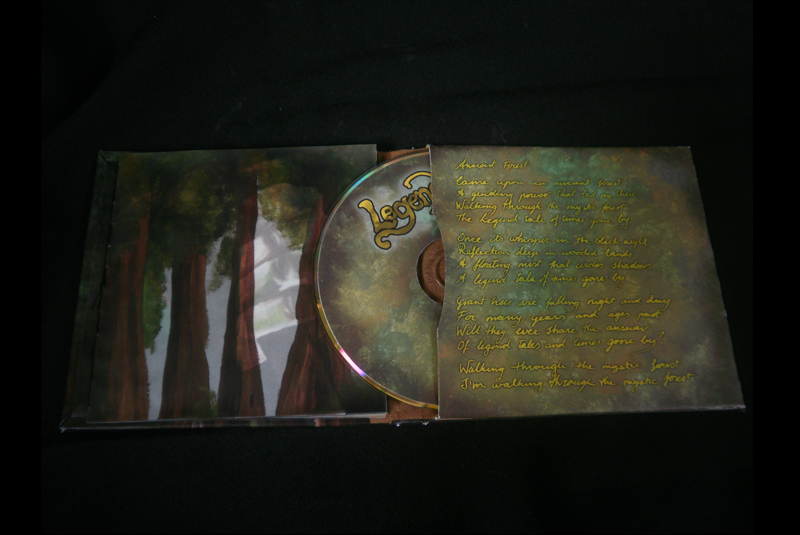 I mainly based the cover on the atmosphere of the album, the characters in the TV-Series and on the lyrics of the last song: “Ancient Forest”. 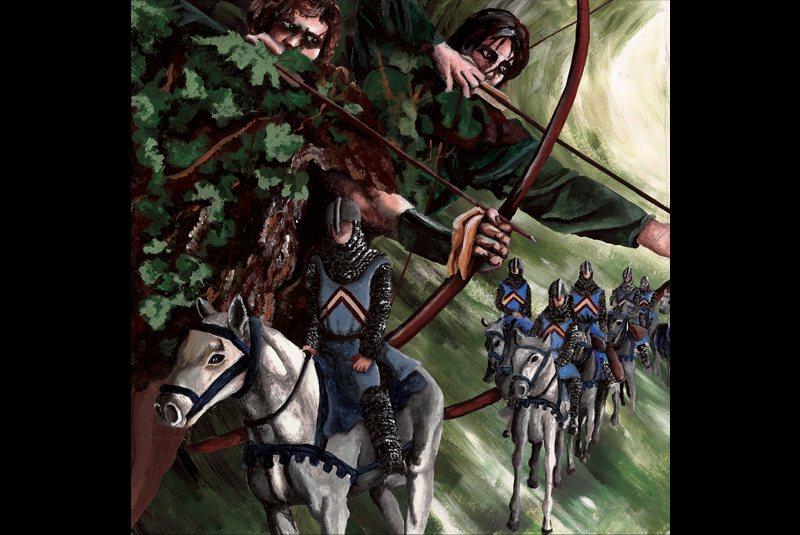 The book as a whole takes you on an atmospheric journey through Sherwood Forest. 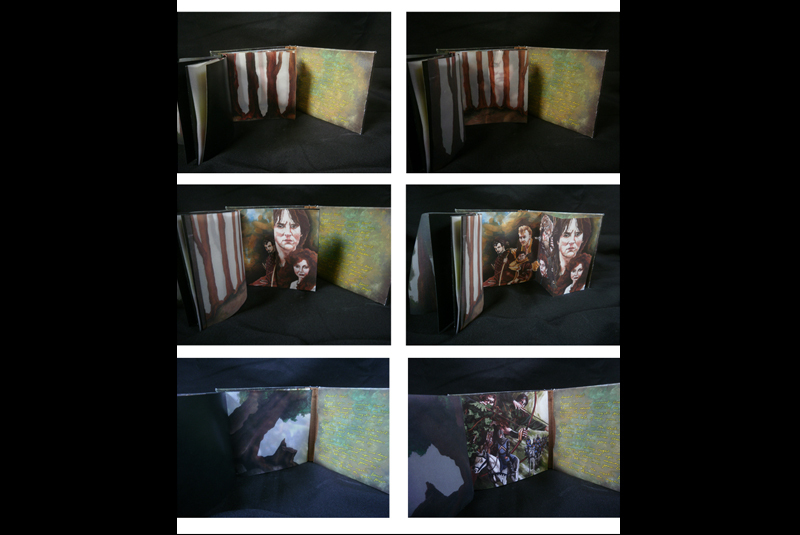 There are two types of pages in the book: tree pages and character pages. 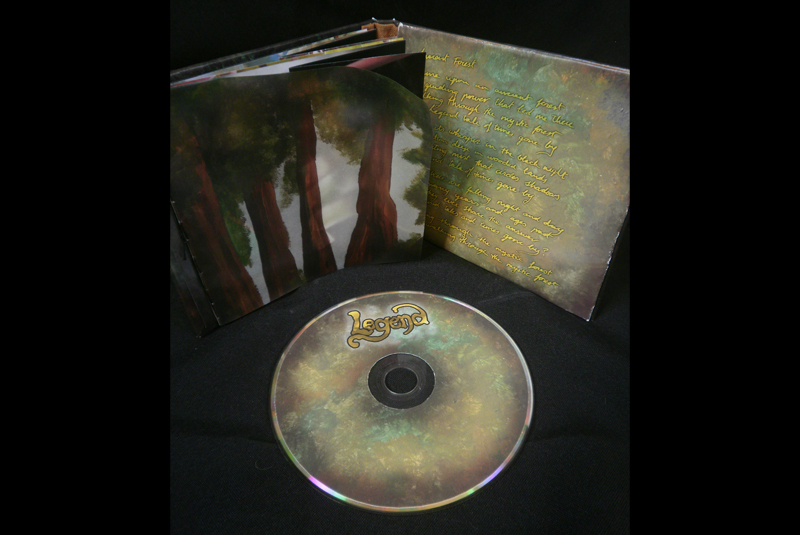 The trees were printed on semi-transparent paper to create more depth and perspective in the forest. The characters were printed on plain paper. See the video above to get a better impression of this. 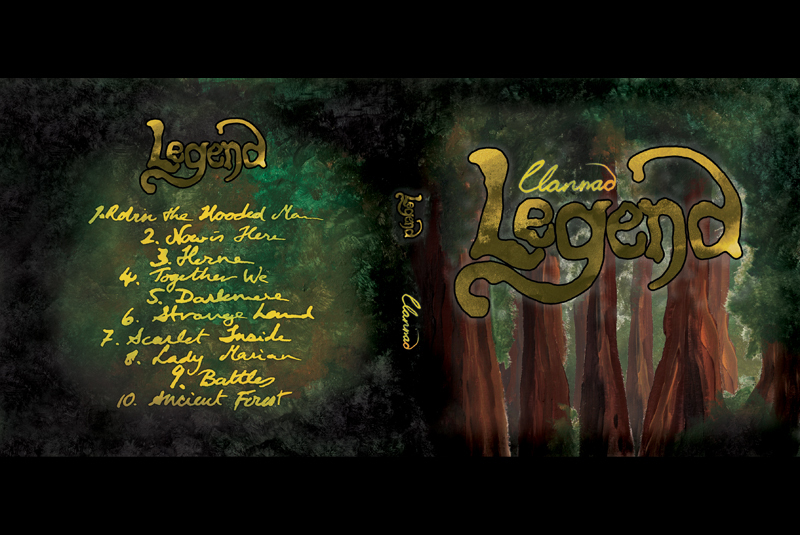 This is not an official CD Cover for the band Clannad’s album “Legend”. But you can view their website via this link.